The PHCC National Association is seeking to provide an Association Health Plan (AHP) now that ERISA rules have been modified by the DOL. PHCC has retained a broker and we are interested in taking the next step, which is to provide a census to better understand the real interest amongst PHCC contractor members. To that end, please complete the following survey to let us know of your interest in a PHCC-sponsored association health plan. 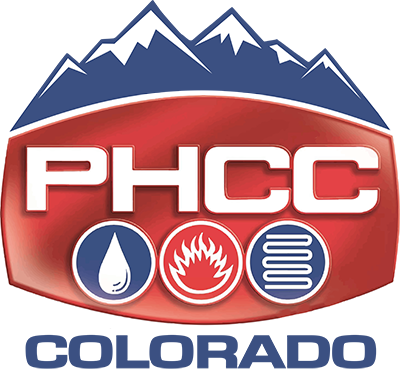 Individual responses will not be shared amongst contractors nor with PHCC National. Please respond no later than August 1, 2018. Learn how to upsell Nest products including Wi-Fi thermostats, indoor/outdoor/doorbell cameras, CO/smoke detectors, security systems, sensors and more within the Nest eco-system. If you aren't able to catch it live, don't forget that all webinars are available on demand. The 2018 Legislative Session ended on May 9th after 120 days per the Colorado Constitution. Major themes included the budget, transportation funding, education funding, and funding for state employee retirements. Governor Hickenlooper has until June 8th to sign, veto or allow a bill to become law without signature. PHCC-supported HB18-1266, by Representatives Wilson and Esgar, Senators Todd and Hill, regarding expanding the career development success pilot program is on the way to the Governor for final approval. PHCC-supported HB18-1316, by Representatives Pabon and Exum, Senators Cooke and Williams, regarding: Extend Colorado Department Of Labor And Employment Skilled Worker, Outreach, Recruitment, and Key Training Grant Program, is on the way to the Governor for final approval. PHCC opposed SB18-193 by Sen Coram and Rep Carver Re: Concerning additional limitations on state agency occupational regulations was killed by House State Affairs on May 2nd. To view the complete end of session report, including "Looking forward" to key races and ballot measures, click here (members-only). Preparing for the Journeyman or Master Plumbers Exam? This 3-day class will help you prepare to pass the written, multiple choice and practical sections of the journeyman and master plumber exams. We will review the IPC, IFGC codes, including the Colorado state adopted code amendments, and will help you apply the requirements of these codes/amendments to the installation of plumbing systems. Click here for more information. As we move from spring to summer, many of us are thrilled to enjoy the summer heat and sunshine while it lasts! That same heat, however, can have catastrophic or even deadly consequences if not managed properly by employees working in it every day. This webinar will discuss the risk factors aligned with extreme heat conditions, how to identify heat related illness, and training to help employees make good decisions while working in the heat. Click here to view the recording.